^ "Wesley Snipes Leaves Pa. Prison After Tax Sentence". 6 April 2013. Archived from the original on 9 April 2013. ^ "USA vs Wesley Trent Snipes, Eddie Ray Kahn and Douglas P. Rosile" (PDF). Fraudsandscams.com. Retrieved 2017-04-19. ^ Alabama Set your local edition ». "Wesley Snipes talks about his tax trouble and new movie, 'Brooklyn's Finest' | al.com". Blog.al.com. Retrieved 2013-04-05. ^ Posted at November 16, 2005 5:55 PM (2005-11-16). "Joe Rogan vs. Wesley Snipes in Ultimate Fighting Match". Hiphopmusic.com. Retrieved 2017-04-19. ^ "Wesley Snipes' Wife Nikki Nakyung Park". BallerWives.com. 8 August 2009. ^ "FindLaw: U.S. v. Wesley Snipes: Hollywood Actor Wesley Snipes Indicted on Tax Fraud Charges". News.findlaw.com. 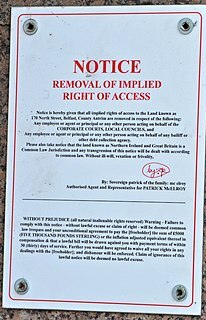 Retrieved 2017-04-19. ^ "Wesley Snipes acquitted of federal tax fraud - today > entertainment - today > entertainment > celebs - TODAY.com". MSNBC. 2015-10-04. Retrieved 2017-04-19. ^ "Wesley Snipes reports to prison to begin three-year sentence for tax evasion". Daily Mail. 2010-12-09. Retrieved 2017-04-19. ^ "Supreme Court Won't Hear Wesley Snipes Tax Evasion Appeal". Fox News. 2011-06-06. Retrieved 2017-04-19. ^ Bill Mears. "High court dismisses actor's appeal on tax evasion conviction". CNN.com. Retrieved 2017-04-19. ^ a b "Wesley Snipes -- Released from Prison". TMZ. 5 April 2013. The sovereign citizen movement is a loose grouping of American and Commonwealth litigants, commentators, tax protesters, and financial-scheme promoters. Self-described "sovereign citizens" see themselves as answerable only to their particular interpretation of the common law and as not subject to any government statutes or proceedings. In the United States they do not recognize United States currency and maintain that they are "free of any legal constraints". They especially reject most forms of taxation as illegitimate. Participants in the movement argue this concept in opposition to the idea of "federal citizens", who, they say, have unknowingly forfeited their rights by accepting some aspect of federal law. The doctrines of the movement resemble those of the freemen on the land movement more commonly found in the Commonwealth, such as in Britain and in Canada. 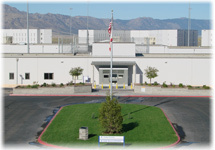 The Federal Correctional Institution, Herlong is a medium-security United States federal prison for male inmates in California, opened in 2007. It is operated by the Federal Bureau of Prisons, a division of the United States Department of Justice. The facility also includes a satellite prison camp that houses minimum-security male offenders. 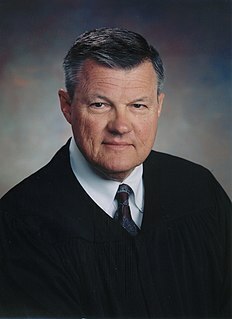 William Terrell Hodges is a United States District Judge of the United States District Court for the Middle District of Florida. The Federal Correctional Institution, McKean is a medium-security United States federal prison for male inmates in Pennsylvania. It is operated by the Federal Bureau of Prisons, a division of the United States Department of Justice. An adjacent satellite prison camp houses minimum-security male offenders. Troy Xavier Kelley is a convicted felon, former Washington State Auditor, and a member of the Democratic Party. He is a lieutenant colonel JAG officer in the Washington National Guard. Kelley was a member of the Washington House of Representatives, representing the 28th Legislative District from 2007 to 2013. In 2017 he was convicted of multiple counts of possession of stolen property, making false declarations in a court proceeding and tax fraud.